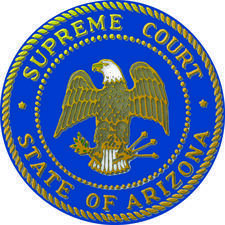 On November 10, 2016, the Arizona Supreme Court made a ruling regarding a lawsuit filed by the judges in EORP, commonly referred to as the “Hall case”. The ruling that came out applies specifically to the EORP (Elected Official Retirement Plan) lawsuit. This is not the PSPRS “Parker” ruling. We are awaiting further direction from the court in regards to the specific items surrounding the “Parker” case. Here is a snap shot of the court’s ruling regarding EORP. There is a high probability that the court will rule similarly with regard to “Parker” (PSPRS). This provision was subsequently amended by Laws 2016, S.C.R. 1019, § 1, effective May 26, 2016. This amendment pertains only to the HON. HALL ET AL V. EORP/STATE Opinion of the Court. We agreed, holding that this provision was unconstitutional as applied to the Plan’s retired members. See Fields v. Elected Officials’ Ret. Plan, 234 Ariz. Upon transfer from the court of appeals, we affirm the granting of summary judgment to the employed Plan members. As we held in Fields, the Bill’s change to the benefit increases formula violates the Pension Clause because it “diminishes and impairs” the employed members’ pension benefits. The Bill’s changes to the benefit increases formula and the contribution rate also violate our holding in Yeazell because the Legislature cannot unilaterally change the terms of the members’ pension contracts once their rights to those terms have vested at the beginning of the members’ employment. The Legislature cannot unilaterally change the terms of the members’ pension contracts once their rights to those terms have vested at the beginning of the members’ employment. This above excerpts are just a snap shot of the “Hall” ruling. The lawsuit that applies to PSPRS is commonly referred to as “the Parker” case. Both of these cases have very similar arguments in regards to “diminishment of benefits and vesting”. With this recent ruling on the “Hall” case it gives a very compelling and persuasive argument to support our PSPRS case “Parker”. This ruling DOES NOT apply to PSPRS but will be persuasive in support of arguments in the Parker case. Any Reductions in member contribution rates and refunds for overpayments have not been determined. We are still waiting on a ruling in the Arizona Superior Court in the Parker case and will keep everyone posted as more information becomes available.